By Ivy Chuang . Published on June 04, 2010. Welcome to Part II of the triple-A trilogy. In Part I, I talked about the cult of Apple and how I couldn't join it. Now let's get to Adobe. The Adobe Creative Suite is an incredible resource for every designer on the planet. If there are designers out there that do not use Adobe CS in some way or another they likely have other people under their direction or hire using Adobe CS for them. The array of creative resource that this software company has provided creative industries is incredible. 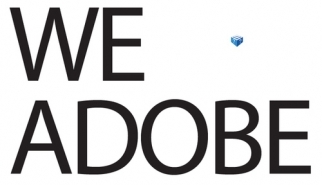 With Adobe CS, you can design more efficiently and robustly and in ways that otherwise were inconceivable. 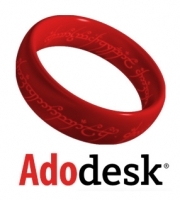 Adodesk would rule us all. Disclaimer: Mock logo created by Author just for fun. Let's come back from that tangent and get back to the feud that spurred this whole rant from me. Drill it down to Flash. I remember when Flash first started to gain traction on the web, probably around 2004/2005. It was exciting at the time to see anything move on a website, and the controls and effects that Flash allowed for user interactivity were a welcome change. Here we are in 2010, and these days when I encounter a full Flash site I prepare myself for a slow, stylized web encounter. Before, the novelty factor made the download time worth the wait. Now, the novelty's gone, and so is my patience. Flash sites are slow. The fading transitions take too long. Flash sites often have automatic music that plays instantaneously when the page loads. A lot of Flash applications these days don't even bother to warn you about not having the right version of Flash installed, there's just an empty box where the Flash should be. On top of it, faulty Actionscript has definitely crashed many a browser for me. When I encounter an excess of Flash on the web these days, annoyance floods me. My relationship with Flash is deeper than the average person. I learned and applied it in my work. I have created a slew of personal and professional sites with it, and have done many projects that involved it. But what I've realized now is that none of the projects ever are updated, because, they're meant to be short-lived, or it's simply too big a pain to update. 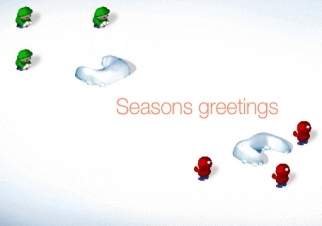 A still from my personal website that hasn't been updated since 2007 ? when it gets updated, I won't be using Flash as the infrastructure. What this fact illuminates is what Flash is good for and what it is not. 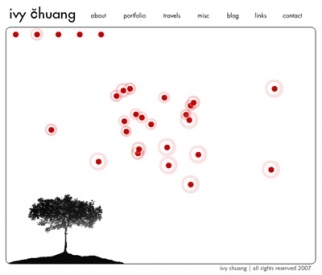 Flash is useful for short-lived engaging element within a site. Promotions, advertisements, mini-games, embedded video ? these types of constantly changing components that can be integrated with content management systems are the perfect application. There are many developers that are using XML and Actionscript together to provide these Flash components, so that Flash is increasingly more flexible and modular. Flash is not good as infrastructure for a site that is meant to be updated frequently. It gets heavier and heavier the more content there is, in the end you probably won't update it, and you'll probably annoy a lot of people if you use too much of it. I think it's almost impossible to avoid Flash on the web, Steve Jobs even says in his public letter ? "75% of video on the web is in Flash." Then a few sentences down he says, "iPhone, iPod and iPad users aren't missing much video." I think what he just said was that iPhone, iPod, and iPad users are missing 75% of the video on the web but that it isn't much? Steve Jobs is reminding me of the Soup Nazi character in Seinfield episodes ? NO FLASH FOR YOU! The 'I Love Apple' counter-campaign reads like a bumble of excuses to me, and it certainly isn't going to convince Steve Jobs to recant in any way. I have to confess though, what I would find to be mildly interesting, even though in my last post, I said that it would be nice for the drama to end - is if Adobe had the balls to ban Apple. As in NO CS FOR MAC OS! Now would that be a revolution?